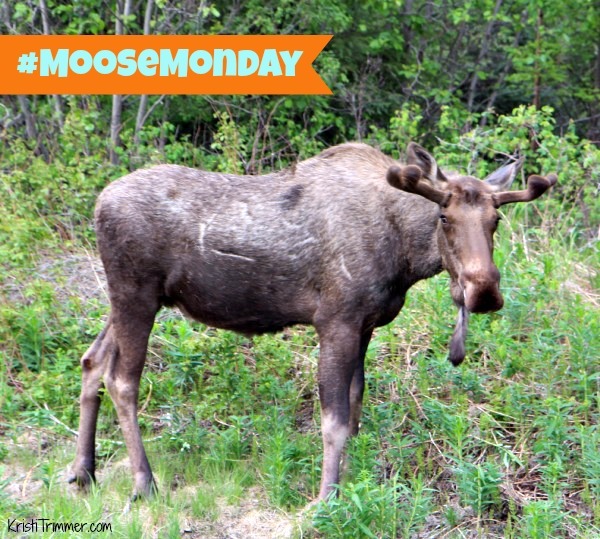 Moose Monday – Whatcha Looking At? Bring on the moose! Happy Moose Monday, my friends!! One of the best things about living in Alaska is all the wildlife I get to see. This big moosel was just eating her lunch when I interrupted her for a photo shoot. Rude of me, right? But seriously – look at how cute she is! And big!!! How could I not stop and take a few dozen (hundred) photos. 🙂 I still haven’t figured out what was hanging from her lip. Any ideas? Now these I would totally rock this Winter!